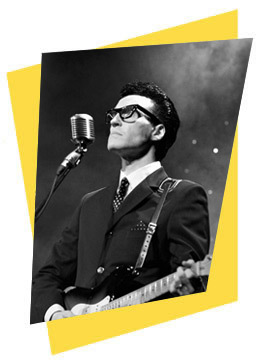 Spencer J has performed as Buddy Holly and delighted audiences at venues throughout the country. 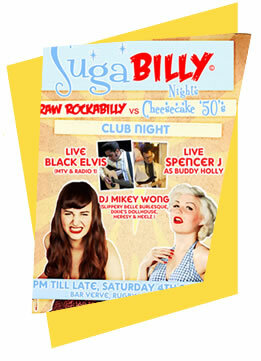 Here are just some of the venues he has appeared at recently, as a solo act or with his full Buddy Holly Tribute Band. 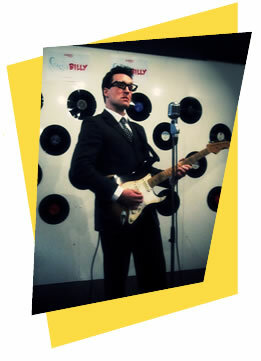 Spencer also stars as Buddy Holly in the hit theatre show Rock n Roll Paradise. Cambridge, Hull, Hertford, Manchester, Cadishead, Aylesbury, London, Milton Keynes, Bletchley, Wheathampstead, Herts, Ampthill, Daventry, Dartford, Linslade, Leighton Buzzard, Streatham, Oxford, Eltham, Potters Bar, Markyate, Tring, Eton, Northampton, Hitchin, Erith, Gravesend, Worthing, Royston, Edgware, Hastings, Swindon, Hereford, St Albans, Luton, Wimbledon, Letchworth, Chatteris, Huntingdon , Liverpool, Skegness, Pitsea, Watford, Leamington Spa, Guildford, Brighton, Hildenborough, Tonbridge, Dundee, South London, North London, Colchester, Chelmsford, Witham, Hoddesdon, Coventry, Dunstable, Kent, Essex, Birmingham, Southend-On-Sea, Hitchin, Hampshire, Surrey, Norfolk, Suffolk, Sussex, Cambridgeshire, Bucks etc.